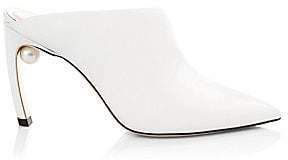 Nicholas Kirkwood cites architect Zaha Hadid as a continual source of inspiration, and we can see the influence in the sculptural silhouettes he designs. 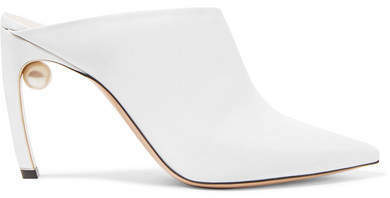 Made in Italy from white leather, these 'Mira' mules have a low vamp that winds gracefully around the arch of the foot. 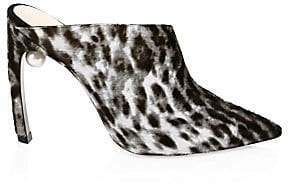 They're finished with the designer's signature gilded heel and accented with a faux pearl.